It is about the only God of Abraham, Isaac and Jacob, whom we worship and obey. And Prophet Benjamin receives angels who bring the messages, in His holy and Royal and Mighty Name above all names. Read the full message of God. Hello, very welcome! On February 10th, 2017, the messenger angel of God brought on, word for word, the following message to end-time Prophet of the last days, Benjamin Cousijnsen. Shalom! I greet you in the almighty name of Yeshua HaMashiach, YHWH, Jesus Christ. Verily, Kadosh, Kadosh, Kadosh! 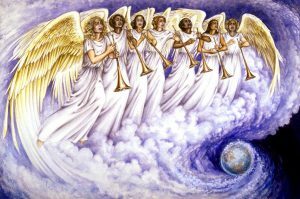 I am a messenger angel of God. But if you listen carefully to the messages, it should be clear to you why we are sent forth, and that we speak in the almighty name of Yeshua HaMashiach, YHWH, Jesus Christ. We also don’t want to be honored or to be magnified. It is about the only God of Abraham, Isaac and Jacob, whom we worship and obey! And Prophet Benjamin receives angels who bring the messages, in His Holy, Royal and Mighty Name above all names, the name of YHWH, Yeshua HaMashiach, Jesus Christ, the King of kings, the Lion of Judah, the Lion of Israel and all that lives! Do you really think that Prophet Benjamin makes up more than 3,000 messages, and then everything is fulfilled? Verily, what have you made up? Verily, Prophet Benjamin has been sent forth to this time, in order to accomplish God’s will. If you listen to his events, then you will also understand that it is no coincidence that he has precisely been sent forth into this time, after 16 years of a coma, in order to fulfill everything and to pave the way! 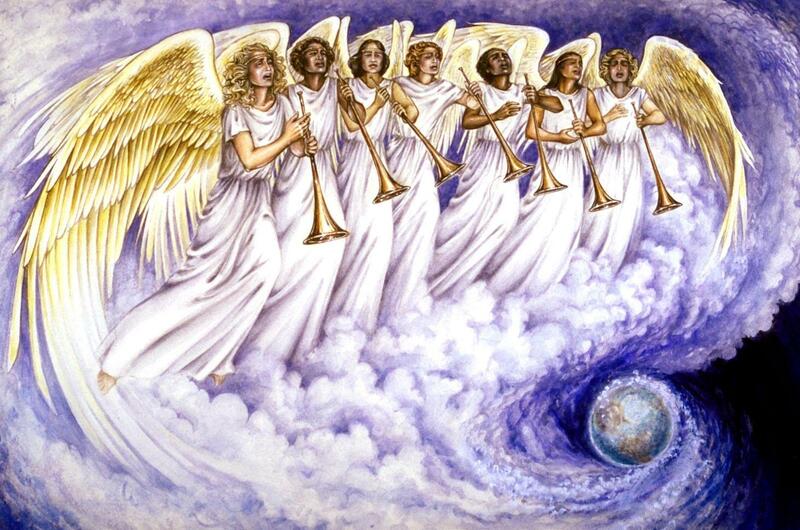 God has always been sending His angels to His Prophets in the Bible, as well as now in the last days! And verses 20 and 21 He who testifies these things says, “Yes, I come quickly.” Amen! Yes, come, Lord Jesus. The grace of the Lord Jesus Christ be with all the saints. Amen. And verse 19 If anyone takes away from the words of the book of this prophecy, may God take away his part from the tree of life, and out of the holy city, which are written in this book. And John 3, verses 16 to 21 For God so loved the world, that he gave his one and only Son, that whoever believes in him should not perish, but have eternal life. For God didn’t send his Son into the world to judge the world, but that the world should be saved through him. He who believes in him is not judged. He who doesn’t believe has been judged already, because he has not believed in the name of the one and only Son of God. This is the judgment, that the light has come into the world, and men loved the darkness rather than the light; for their works were evil. For everyone who does evil hates the light, and doesn’t come to the light, lest his works would be exposed. But he who does the truth comes to the light, that his works may be revealed, that they have been done in God. My name is Reavera, and I’m going now. ⟵Het geweten als een licht in de duisternis!